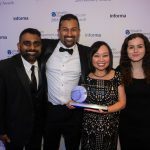 Long Beach, CA – In the month of May alone, Laserfiche, a leading provider of digital document and records management systems, has won the business of five new California cities: the City of Brawley, the City of Oroville, the City of Tehachapi, the City of Petaluma and the City of Westminster. Stephen Weinberg, Laserfiche’s regional sales manager for California, attributes this success to the fact that Laserfiche has obtained government certification year after year for each new version of its software, demonstrating its commitment to government customers. Laserfiche now works with over 200 cities in the state of California, and with thousands more cities across the U.S. and around the world. Weinberg added that most of his municipal customers want the stability of an established document management vendor they can trust. Laserfiche has been a successful private company for more than 20 years. According to Forrester Research, Inc., Laserfiche takes a “less is more” approach and focuses on ease of use, eliminating file cabinets and, most importantly, affordability. In uncertain economic times, solutions that streamline business processes across the enterprise are quite appealing because of the short- and long-term cost savings they provide. Paperless alternatives are also popular because they contribute to “green” initiatives that focus on saving paper and reducing energy consumption. 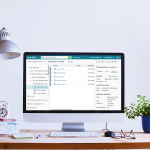 Laserfiche (www.laserfiche.com) creates simple and elegant document management solutions that help organizations run smarter. Since 1987, Laserfiche has helped more than 25,000 organizations — including state and local governments, financial services firms and healthcare providers — optimize business processes and reduce operating costs. Laserfiche captures and indexes all your organization’s paperwork — from documents and faxes to e-mails and multimedia files — in a secure, central repository. 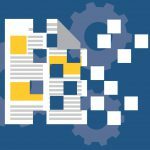 A unified metadata model helps users classify information, while full-text search tools enable them to quickly find what they need. Laserfiche’s open architecture and flexible API promote rapid integration with other Web- and Windows-based applications, allowing users to capture, manage and distribute information in diverse working environments. Laserfiche software is distributed by a worldwide network of value-added resellers, who have extensive experience creating enterprise content management solutions that meet clients’ specific business needs. In recognition of the outstanding training and support we provide our resellers, the Laserfiche VAR program has received a five-star rating from both VARBusiness and GovernmentVAR magazines.